Awarded by the department to the senior with the strongest, sustained performance in analytical economics. 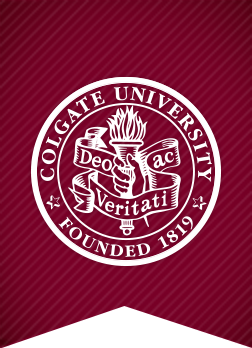 Established by past and present department members in honor of the late Chi-Ming Hou, who was a member of the Colgate economics department from 1956 to 1991, for outstanding achievement in International economics. Congratulations to William, Ahmad, and Kate, as well as all of their fellow 2013 graduates! Welcome to the alumni community.